The Single-Ten features a ten-shot cylinder and is constructed from durable and handsome satin-finished stainless steel. With a 5.5″ barrel and smooth, walnut “Gunfighter” grips, the Single-Ten is well balanced and points easily. “The Single-Six has always been a fun gun to shoot,” remarked Mike Fifer, Ruger’s CEO. “The additional cylinder capacity, along with the trim Gunfighter grips and fiber optic sights, make shooting the Single-Ten even more enjoyable,” he continued. For more information on the Ruger Single-Ten, or to learn more about the extensive, award-winning line of Ruger firearms, visit Ruger.com or Facebook.com/Ruger . 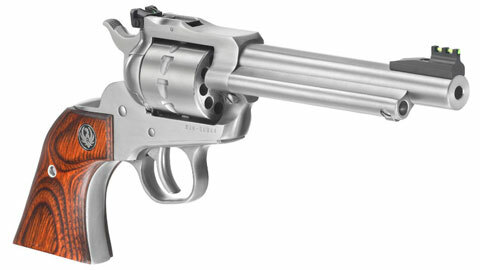 To find accessories for the Ruger Single-Ten or other Ruger firearms, visit ShopRuger.com.